The slaves’ fortress stands on a rugged spur of rock, apparently unattainable. Here lives a notorious slave’s master named Gurgo, who decides on the fate of men brought here from all over to be bought or sold. – Fight your way through the Dungeon of the Slaves’ Fortress. – Two formidable new bosses are waiting for you. 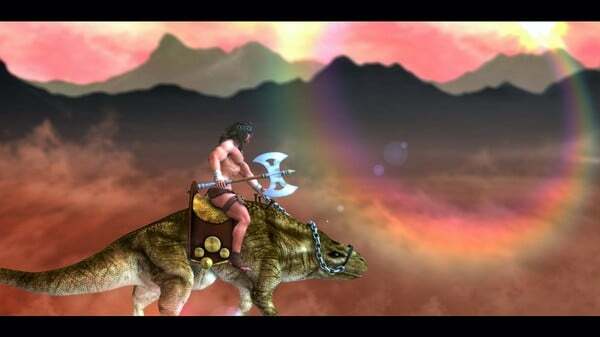 – Ride the mighty beast known as “Mok”. – Face terrible new enemies such as the Spider-worm or the Pigwarrior. – Two new weapons, the Saw-axe and the Sword-Axe. – Find the new hidden treasures. – Save the slaves from their fate.